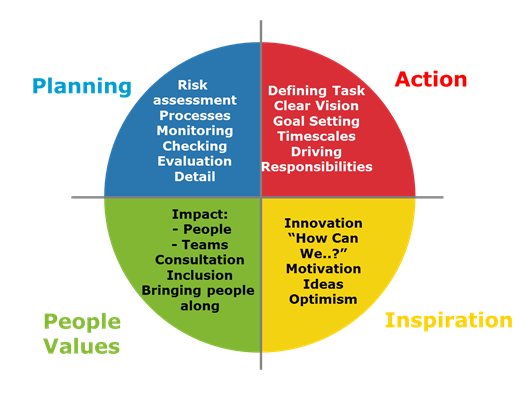 Giles Miskin is a leadership development expert focussing on behaviours. He is a regular speaker at Academy Groups and his energetic, intelligent and engaging style stimulates conversation and change. He is Managing Director of The Colour Works (www.thecolourworks.com), a progressive learning and development company specialising in transforming leadership and team-working performance, inspiring people to deliver better results. 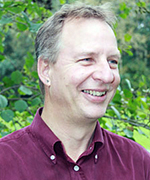 When psychologist Carl Jung described the behavioural differences between people in his 1921work ‘Psychological Types’, he drew a continuum between those with a preference for “Thinking” on one end and “Feeling” on the other, with specific reference to how each approaches the decision-making process. Most of us will have experienced, or been on the receiving end of, what we perceive to be “bad” decision-making. In most cases, what that means is “not how I would have gone about it” – too hard-nosed, too accommodating, too rash, too slow, etc – i.e. whatever I’m not. 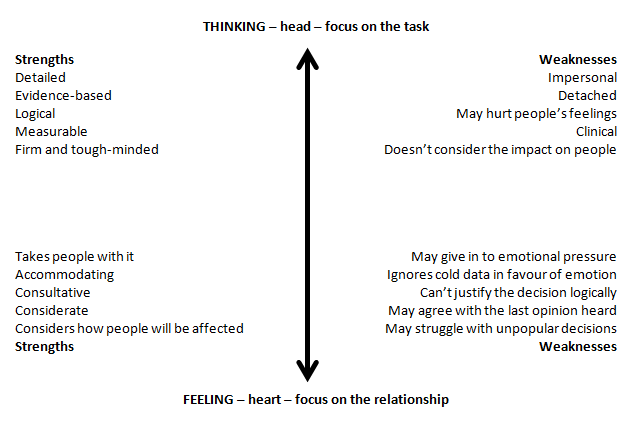 Most of us also sit somewhere in between the two extremes of Thinking and Feeling, with a foot in both camps – “My head says do X and my heart says Y” – and whilst this might appear to enable a more balanced approach, it by definition misses out on the strengths associated with either extreme. Consider, for example, how you would approach the following scenario. A long-standing and well-respected male Team Leader is found to have a drug habit. It doesn’t appear to have affected either the quality of his work or his working relationships, though you don’t know who else in the company knows. What do you do? So, what would robust decision-making look like in this instance? Well, almost certainly a combination of the two. Every aspect needs to be considered. This, of course, does not make the eventual decision any easier, but a) that’s what we’re paid for, b) any decision is better than none and c) making the decision itself is not the end of the process as how it is implemented – communicating it and managing the fall-out – is just as important. Know yourself, warts ‘n’ all. Whatever your combination of colour preferences – Fiery Red (extraverted thinking), Cool Blue (introverted thinking), Earth Green (introverted feeling), Sunshine Yellow (extraverted feeling) – you will have tendencies towards one end of the spectrum or the other, with all of its associated strengths and weaknesses. Get input from your Opposite Types. This will challenge your approach and push you into working through the decision from different perspectives. Better still if you have people at both extremes. Once the decision has been reached, a) ensure there is absolute clarity amongst the top team and that everyone is on board, then b) agree to whom, by whom, how and by when the decision will be communicated. Fiery Red – be clear, concise, factual and assured.